An exhibit by Signal Mountain artist Thomas Caleb Goggans opens at GALLERY 5 at the MACC Saturday, Aug. 27 in conjunction with the building's 90th birthday bash. 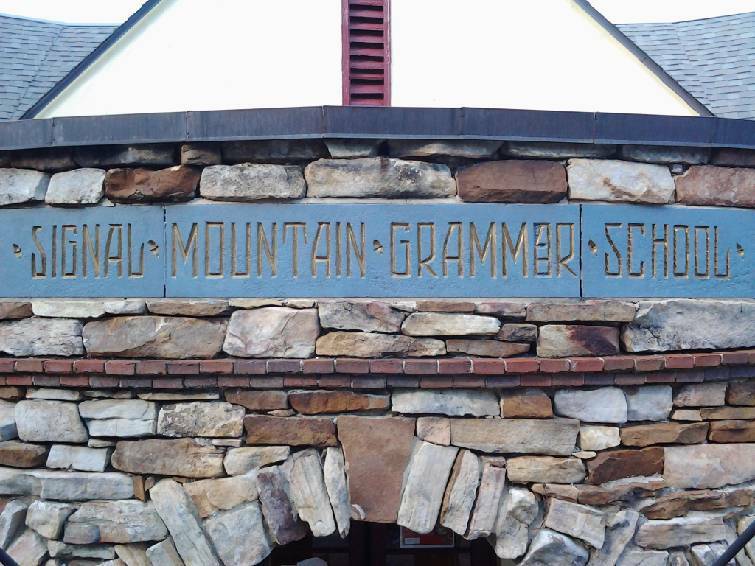 The former Signal Mountain Elementary/Grammar School building, now the MACC, is celebrating 90 years with a birthday bash set for Saturday, Aug. 27. At 90 years old, Signal Mountain Elementary/Grammar School has been around about a dozen years longer than the average human life expectancy. The town of Signal Mountain is celebrating this feat with a birthday bash at the former school — now the Mountain Arts Community Center — Saturday, Aug. 27 from 10 a.m. to 2 p.m. The event will feature a strolling accordion player and other celebratory musicians, kids' activities, punch and, of course, birthday cake, said MACC Executive Director Barb Storm. There will also be 90 balloons filling the building to commemorate its 90 years, she said. "There will be a lot of former teachers and alumni in attendance," said Storm, adding that several MACC teachers will also be on-site to talk about what they teach. "I think people should come out and celebrate this wonderful landmark that has been serving the community for 90 years, and we look forward to the future of another 90 years of serving the community in a different way." A few Signal Mountain businesses, such as Mountain Top Toys, will be setting up booths at the event, which Storm said coincides with the grand opening of an art exhibit by Signal Mountain resident Thomas Caleb Goggans in GALLERY 5 at the MACC. Goggans is a nationally known artist. "Advancing the Vision" is the theme of this exhibit, which features paintings and drawings on display at the MACC until Oct. 3. A reception allowing attendees to meet the artist will be held Sept. 9 from 5-7 p.m.
"Caleb's work is so exquisite; especially his use of color is phenomenal," said Storm. "He's the biggest artist we've ever had in our gallery, in my opinion." Contact Emily Crisman at ecrisman@timesfreepress.com or 757-6508.